While going through some old boxes the other night, I found a letter that my dad had written to me – but I had no memory of. This morning I woke up to CBC news reports about the ongoing rescue efforts in Mexico for this most recent earthquake and the attempts being made to free a young girl who is trapped under the rubble of her school. It brought back a flood of memories. 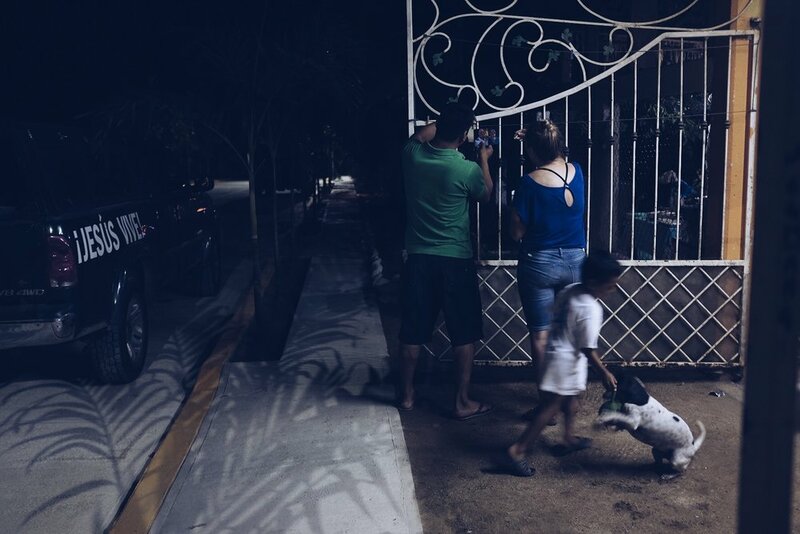 When I arrived in Mexico earlier this month I hung over one hundred photos at the local taquería for the people who live in the village of Barra de Potosi to have. I called the project 'Rostros de mi segundo hogar (Faces from my second home)'. While technology like cell phones is prevalent here as a means of doing business, printed images are still highly valued as a luxury. If you see a photo of yourself, your family, or a friend, please take it home or give it as a gift. Thank you for sharing beautiful Barra de Potosi with my family! Merry Christmas. Hola! Si encuentras una foto tuya, o de un amigo o familiar, por favor tómala o entrégala como regalo. Gracias por compartir Barra de Potosi con mi familia. ¡Feliz Navidad! When I returned to the taquería after Christmas all but a few photos had been claimed and when I road my bike into the village today I was greeted by people who were thrilled with their photos - including my favourite fruit lady! The project was so sucessful that I plan to do it again next year and have already started collecting images for it. 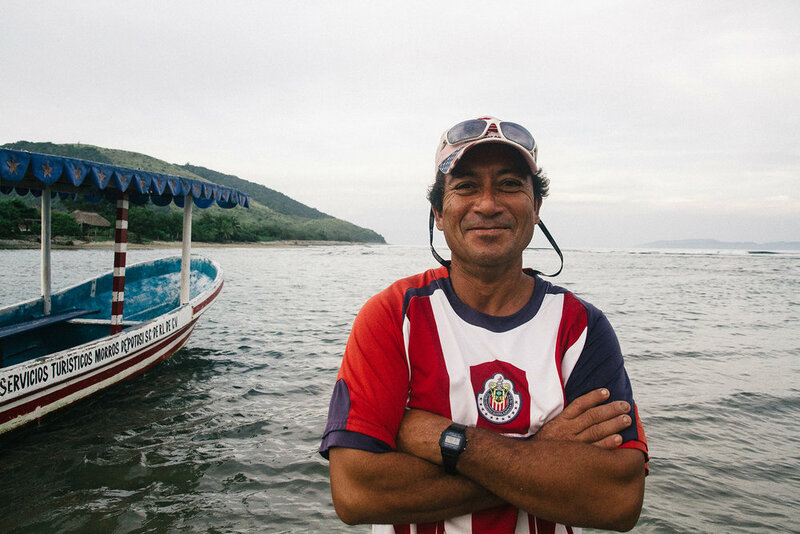 This man is affectionately called 'The Mayor of Ferellones'; a small village that connection to Barra de Potosi where my family lives. Two years ago I took this photo of him riding his donkey, they were inseparable. As part of my Rostros de mi segundo hogar (Faces from My Second Home) project I printed this image to hang at the local taqueria.